Just like I know one person and a relative; they love frogs. And my elder brother loves snakes. He has pet snakes in his house. Hare Krishna! He used to let them just crawl all over the house. Pythons, and other big snakes – the bigger the better! But then when he had his first little baby child, his wife said no more snakes. So, he kept in the closet. But then every now and then, it would escape from the closet. When they saw the snake looking at the little baby, she said, “It’s either that snake or me!” That was a very difficult choice for my brother. It was very difficult! “It’s either he or me!” So, ultimately it was a big surrender. He gave the snakes away. He loves snakes! And I know another person at the Rainbow Gathering. His name is Fantusi. He loves snakes, especially poisonous ones. And we have seen, he just goes into the forest and searches. And when he finds a poisonous snake, he knows how to do it. With his fingers, he just puts the fingers behind his neck and picks him up by the throat, and then takes him around and puts him on the ground to show the people. And everybody goes – “My little snake! My cute little snake!” And he just picks it up and puts it back in a basket. I remember I was cooking halwa for 3,000 people in a jungle. You know what the Rainbow is? You shouldn’t go! It’s about 10,000 people who live in a forest for several weeks. And there is no electricity and no running water, nothing. You have to just get water from creeks and springs and carry them in buckets. And you have to make fire with wood from dead trees lying on the ground, like that. So we were cooking in big pots and we were cooking for 3,000 people halwa and sabji and rice; and gulab jamuns, we made sometimes. In the middle of the forest, the bowls people have is amazing! Some people have skulls of animals, some people have coconut shells, some people have little pieces of plastic, so many things! Reality is according to our conditioning, according to our egoistic development in life. 6 Responses to "Our ‘reality’ is based on our conditioning"
Yes we are what our conditioning is and how we brought up in life. 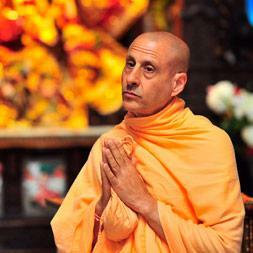 Thank you HH Radhanath Swami Maharaj for such an wonderful message. Radhanath Swami explains very nicely about our conditioning and the reality. The examples given are very appropriate. Hilarious lecture. 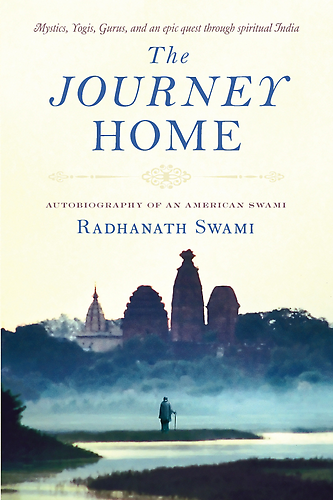 However the point that HH Radhanath Swami made is vital that we all have our own conditioning, which may or may not match with others. Wow again a wonderful story of the conditioning of people and different choices, likes and tastes..